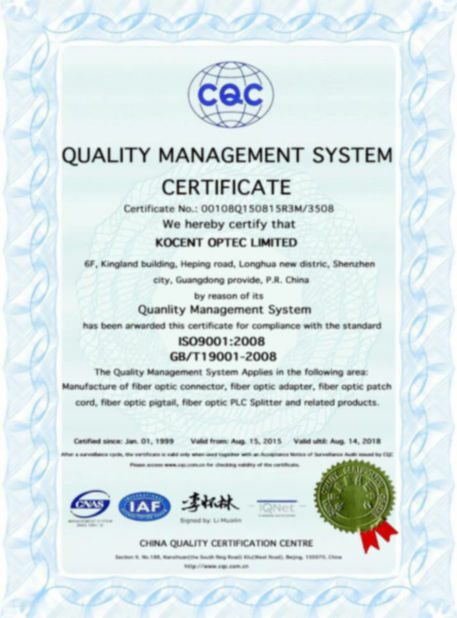 KOCENT OPTEC LIMITED is focus on passive fiber optic product, MPO MTP fiber breakout cable is one of our best advantage products. If have any question about this product, welcome to call us by hotline telephone or e-mail to us any time. - MTP is the high dense degree of optical fiber pre-connect system,which is generally use in three areas. - The internal connector application in fiber equipment. 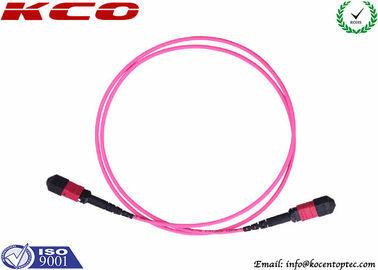 MTP/MPO harness cable, also called MTP/MPO breakout cable or MTP/MPO fan-out cable, is a fiber optic cable terminated with MTP/MPO connectors on one end and MTP/MPO/LC/FC/SC/ST/MTRJ connectors (generally MTP to LC) on the other end. The main cable is usually 3.0mm LSZH Round cable, breakout 2.0mm cable. Female and Male MPO/MTP Connector is available and Male type connector has pins. 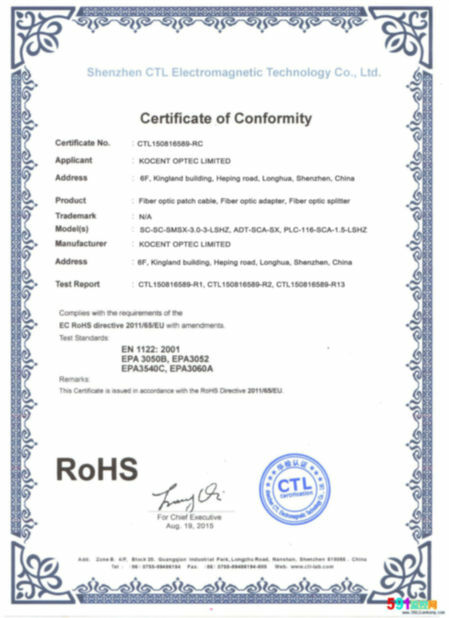 All MPO/MTP Connectors we use USConec Brand. All Kocentoptec's MPO/MTP fiber patch cable is compliant to IEC-61754-7 and TIA-604-5(FOCIS-5) Standard. We can do Standard type and Elite type both. For the jacket cable we can do 3.0mm round cable also can be flat jacketed ribbon cable or bare ribbon MTP cables. We can offer Single mode and Multimode MTP fiber optical patch cables, custom design MTP fiber optic cable assemblies, 9/125, 50/125, 62.5/125, SM, MM, Simplex, Duplex, 12core MTP/MPO patch cables, 24core MTP/MPO patch cables, 48core MTP/MPO patch cables all is available. MTP/MPO harness cable are designed for high density applications requiring high performance and speedy installation. Harness cables provide a transition from multi-fibers cables to individual fibers or duplex connectors. 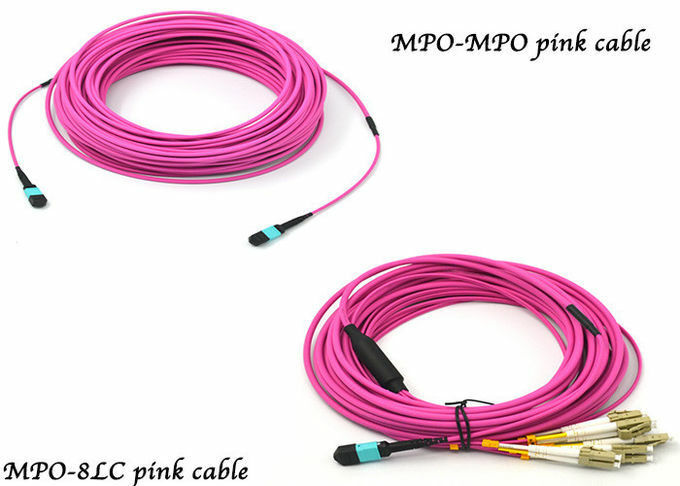 The MTP/MPO harness cables are terminated with MTP/MPO connectors on one end and standard LC/FC/SC/ST/MTRJ connectors (generally MTP to LC) on the other end. Therefore, they can meet a variety of fiber cabling requirements.